12th April 1961 was the historical date when, Yuri Gagarin, became the first human to cross the Earth's atmosphere into the void of space. Of course he was from Soviet Union. The period was so that the two super powers of the world America and The Soviet Union were in conflict with each other or to be precise we can say that they were in a mode of contest with each having the desire of outplaying each other. Space was one such field as well. 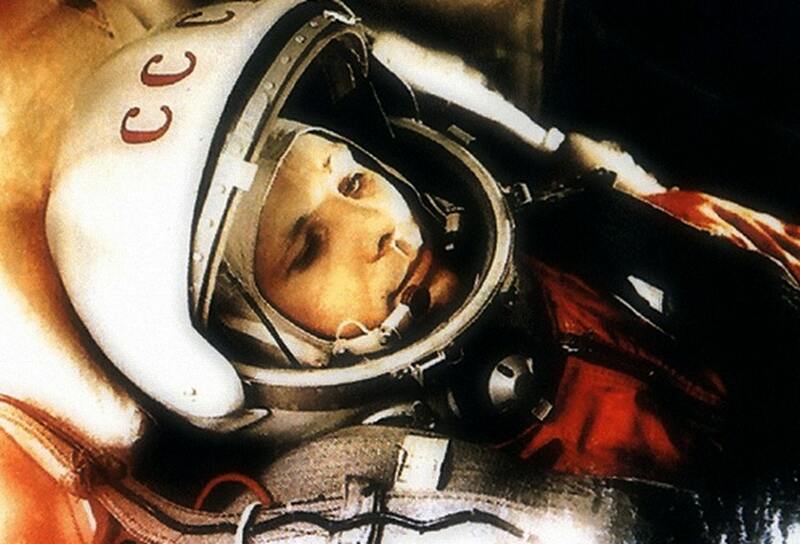 Yuri Gagarin in his Vostok-1 capsule, made it to the outer space and with it he led to the rise of future space exploration desires among the masses. Well the desire for space exploration is as old as it could get. But it was only in the 20th century, that humans had technologies to support their desires. Rocket researches began in the 1920s and flourished during World War ll. Until the 1940s both America and The Soviet Union had started using the captured German scientists and technology to launch space programmes. The Soviets were always a step ahead of the Americans in space explorations, but it did not take the Americans more than a month of Yuri Gagarin's flight to put their first of the nation in space, Alan Shepard, 5th May, 1961. Until 1961 that is Yuri Gagarin's flight the soviets had already crashed a spacecraft on the moon and put a satellite on earth's orbit. Whereas Americans had sent Ham, the chimpanzee in the outer space. Ham showed that it was possible to complete simple tasks in space. Between 1961 and 1963 a project named " Mercury" launched six manned spacecraft into earth's orbit, and meanwhile the soviet's were nowhere back as they had also sent six humans into space. 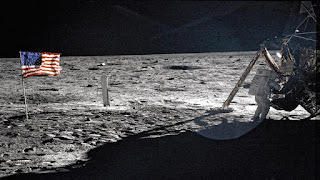 It was in 1960, when The American President John F. Kennedy came upon the big project of landing man on the Moon within the end of the decade. This was a huge project and an much awaited one. But both the countries America and The Soviet were some distance before they could execute the dream ! Project Mercury's successor Gemini, became the initiation pad for Moon missions. The programme had a lot of significance because it also investigated how spacecraft could dock while in orbit, and work upon re-entry and landing. Soviet Union always led the way to space explorations over America. 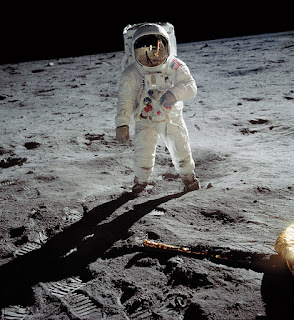 They were the first to launch three persons crew, perform the first space walks, and definitely the first to land unmanned spacecraft on the Moon, taking the first photos of its surface. Soviets always led the race but America crossed the finishing line first. 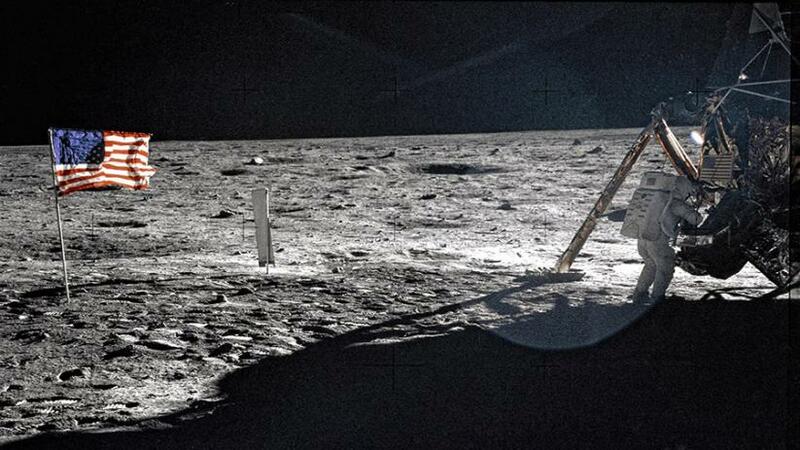 And on July 20, 1969 three men from America Neil Armstrong, Buzz Aldrin and Michael Collins in the Apollo 11 mission set foot on the Moon's surface. A new chapter was written in the history of humans in space. 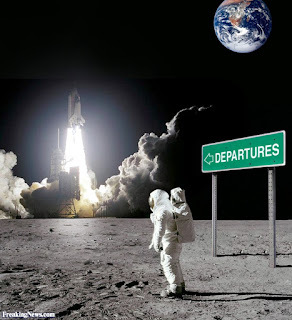 A total of 12 men walked on Moon over the next few years,after which both the nations dropped their sights to low Earth orbit. 1st space station was the Soviet Salyut 1, was launched in 1971. Soon after two years America launched its first named Skylab. In 1986, Soviet Union launched Mir, a microgravity research station which served until 2001. But the big news came when an ambitious new programme was launched, International Space Station (ISS). It was an collabaration of five renowned space agencies NASA, RUSSIA'S ROSCOSMOS, JAPAN'S JAXA, THE PAN-EUROPEAN ESA, AND CANADA'S CSA over a period of more than 13 years from 1998 to 2011. 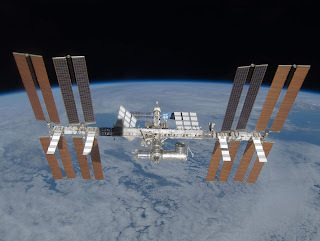 ISS was pretty revolutionary as we now had atleast 3 humans always above Earth, moreover studies and experiments are carried upon the station which would have never be possible from Earth. Meanwhile other countries were not far behind, China's first space station, Tiangong - 1, operated from 2011 to 2015 and fell back down to earth in April 2018. A second space station, Tiangong-2, is still in operation. Space tourism was also quite prevelant those days, only if one could afford it. The first ever space tourist was US entrepreneur Dennis Tito, who had paid a whooping US $20 million to visit ISS in the year 2001. He was carried in the Russian Soyuz spacecraft. In the next 8 years or so more seven tourists had been taken aboard outside Earth's atmosphere. Space tourism has always been integral part of space agencies but one thing is for sure that owning a credit card is just not enough for you to be eligible for a space tour. Ultra rich people in the past have only had the privelege of a space tour. But there are some organisations working upon to make space tours not so special for everyone ! Yes you heard it right companies like Virgin Galactic, Space X, and Blue Origin are working to get civilians back up in space. Space explorations would as be as common to a holiday trip to Hawaii in the time to follow ! So why not work for it today. The statement from Elon Musk is quite substantial when compared to the remaining time life has on Earth. We would eventually have to leave Earth, to find a new home elsewhere, maybe Mars, or Titan, or any of the exoplanets. 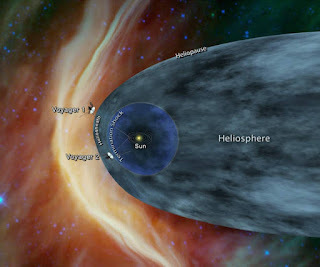 When the time comes space exploration would be a need rather than for discoverence. From Yuri Gagarin to Apollo 11 and space station accomplishment, history of humans in space until now has been a glorifying one ! And with aspects to land Man on Mars and Titan, possibilities are endless. 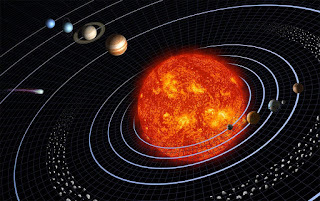 But one thing is worth notice that with the advancement in technology, there has been increase in tension among nations for power and with nuclear weopenery at its peak, Human history in Space could fall apart in matter of seconds.